(813) 443-0598 Call Us Today! A variety of metamorphosed limestone, consisting primarily of calcite (CaCO3), dolomite (CaMg (CO3)2), or a combination of both minerals. Pure calcite is white, but mineral impurities add color in variegated patterns. Hematite, for example, adds red; limonite, yellow; serpentine, green; and diopside, blue. Marble is capable of taking a high polish and is used principally for statuary and for building purposes. Commercially the term marble is extended to include any rock composed of calcium carbonate that takes a polish, and it includes some ordinary limestones. 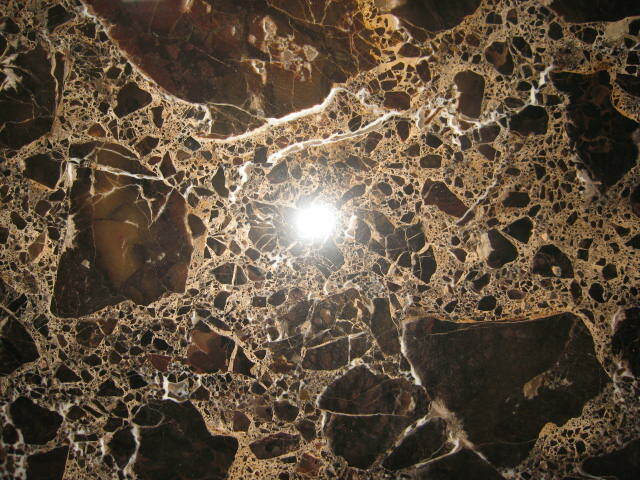 The term is further extended in the loose designation of stones such as alabaster, serpentine, and sometimes granite. The surface of marble crumbles readily when exposed to a moist, acid atmosphere, but marble is durable in a dry atmosphere and when protected from rain. The purest form of marble is statuary marble, which is white with visible crystalline structure. The distinctive luster of statuary marble is caused by light penetrating a short distance into the stone and then being reflected from the surfaces of inner crystals.